At Influx we are always on the lookout for best practices in software development. 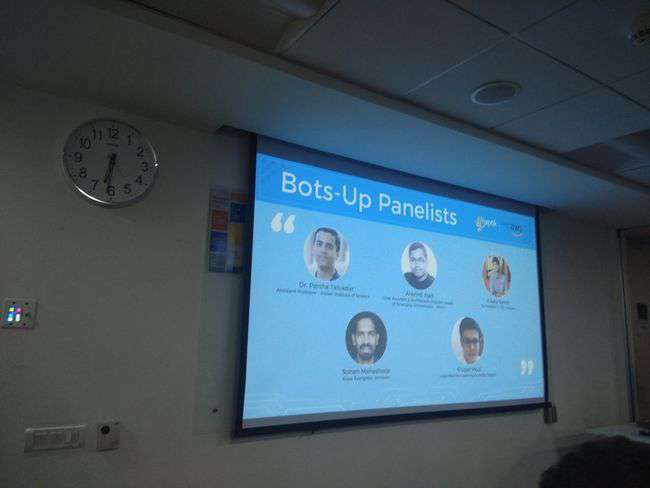 So, naturally, we were excited when we came across the event called BotsUp - Best Practices for ChatBot Technology and Development, in Bengaluru. This MeetUp focused on bringing tech leaders and chat-bot enthusiasts under one roof to discuss the current state of the industry, the frameworks that go into building a great chat-bot and what the future holds from a technical standpoint. Three of us from Influx participated in this event. When designing a chatbot, words are more powerful than UI. Because people think and express themselves differently, you need to see each conversation in context. Think about where and how you can use words — instead of UI elements — to deliver a great experience. If you can get the conversation right, you can design experiences that are natural to use. Figure out what kind of personality you want your bot to have. Can it tell a joke? Should it tell a joke? All things can be considered at the design stage. Form a close relationship with your content writer — you’ll need her/him! Make sure that you don’t build just for now, but for the future as well. Think about who else might use your product and how you can make that happen. Taking Gen Z into consideration, slang and shortcuts in language are common. With machine learning, the chatbot should understand the context in which the person is using a word and provide relevant answers for it. Artificial Intelligence (AI) is still taking baby steps and chatbots will undoubtedly face problems. Real people can help the chatbot through this while delivering delightful experiences to the users at the same time. For your users to have a great experience, provide some kind of fallback or escape route. Don’t let them get stuck in an endless loop of bot messages with no proper outcome. People reach out across many help channels with the same message. It didn’t really matter to them how they get an answer to their question. What matters is that the answer they did receive was fast and relevant. This gives a huge opportunity for chatbots to step in and deliver amazing customer experiences. Automated responses, 24/7 customer service, fallbacks, and the chatbot personality combine to create an experience that can deliver incredible value to your users and retain them for a longer period. Ultimately, people don’t care about the medium that solves their problem, as long at it does get solved. Chatbots might be the future for greater customer experience where one need not wait for a long time to get problems solved. An important aspect covered in the panel discussion at the MeetUp was what metrics can be used to measure the success rate of a chatbot or how good it is in relative comparison with the previous iteration(s)/release(s). Initially “bad conversations” are recorded. These were the conversations where the bot could not understand what the user was asking and replied with a default message. In this scenario, the chatbot transfers the conversation from automated responses to its human counterpart, i.e., the support team, who can takeover the chat and assist the customer. Haptik’s platform then uses analytics to derive the number of “bad conversations” in a given period time and accordingly tweak the algorithm to make the chatbot “smarter”. The platform, using analytics, generated a daily report based on the questions that trended on a specific period (for instance, Diwali sales or GST-related doubts). This helped in tweaking the chatbot’s algorithm for it to be more efficient in answering questions. It also helped the “human fallbacks” anticipate questions on a trending topic and prepare themselves accordingly. There was a debate among the panelists on whether (keeping in mind the end user’s needs) voice-based chatbots were better than text-based chatbots. To this, Sohan Maheshwari from Amazon shared his thoughts on how the applicability of both varies with each use-case. He emphasised that voice-bots certainly solve smaller, single command tasks faster than text-based chatbots. 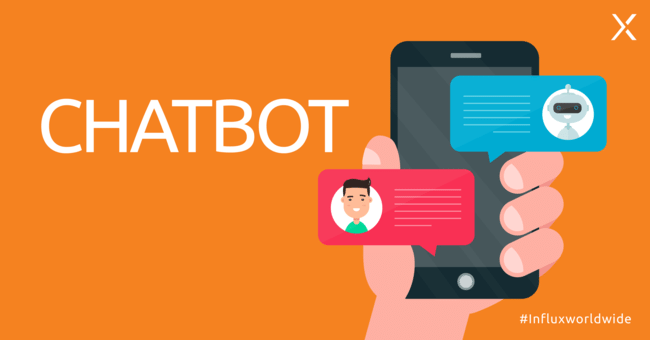 On the other hand, when a user requires assistance in a public space or visual elements are required for completing a task, text-based bots are the perfect interface. Cinemas are always on the lookout to increase footfall by all means possible. At Influx, we’ve put a lot of work into improving how cinemas around the world sell their tickets using our suite of products. We’ve been providing solutions like websites, mobile apps and kiosks but these were not enough for us. So, over the past few months, we’ve been working on a pilot version of a new chatbot — we call it the Influx ChatBot — to allow users to make their ticket bookings straight from their chat window. Users can just state their preferences — date, movie, showtime, etc. — and our chatbot will provide suggestions based on them and even fascilitate payment. All this from just a chat window. Chatbots are mostly relevant for regular tasks that adhere to a strict process. For example, if you are really sure about a particular movie, its show timings, date, etc., you can use a chatbot. If you want to explore, you might still like to go to the website. When chatbots are complemented with human support, they can reduce 20% of the workload for the customer support personnel. This comes in handy especially when manning ticket desks. As the technology evolves, we predict that chatbots are definitely going to cut costs and jobs in the consumer support vertical. However, we think that the scope for chatbots is limited to certain media. They cannot have all the features integrated in them like apps or websites, nor can they replace apps or websites altogether even with text/voice interfaces. While users do not have to download a zillion apps for various purposes and can rely on Facebook and other messengers to get various things, like booking tickets, done online, it is possible they may get tired of chatting and want an alternative option. Hardik Goswami, Manikandan R and Mohan AC are software engineers at Influx and lead our Android and iOS app teams.